Campania Easy Iron Long Sleeve Blouse with fron double button fastening semi fitted. 2239B Sky Blue/Magenta Stripe with white cuff and inside collar. 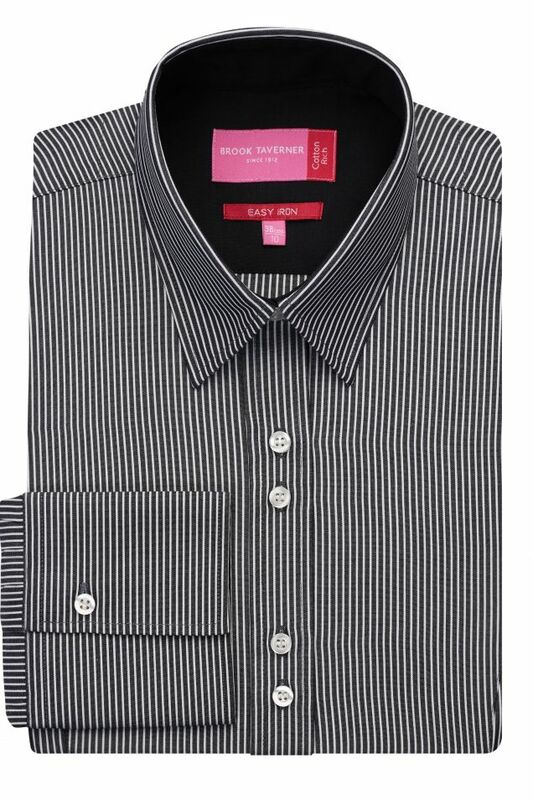 2239C Black/white Stripe with Black cuffs and inside collar.